Professor Bas Bloem, MD, PhD, consultant neurologist at the Department of Neurology, Radboud University Nijmegen Medical Centre, the Netherlands, and co-founder of ParkinsonNet, honors the special connection between World Parkinson's Day and World Dance Day in this compelling talk. On behalf of the 23 partners who are working together to create this platform, we're pleased to welcome you. 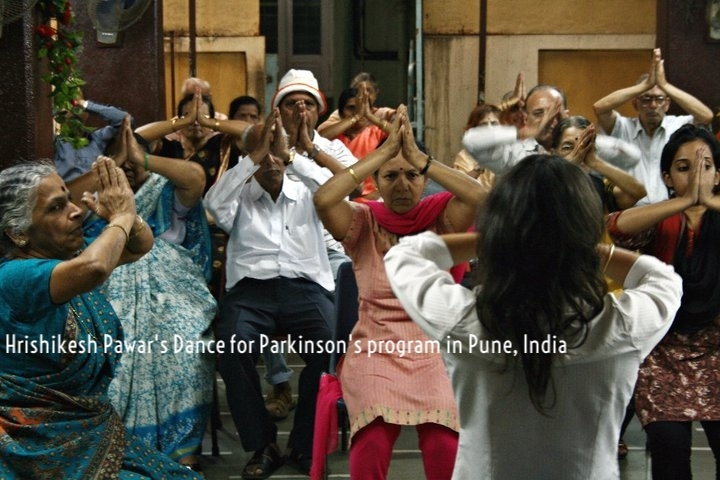 World Dance for Parkinson's Day is a global collaboration organized among a diverse group of partners in 16 countries. We are a group of dance organizations and individual teaching artists who deliver specialized classes for people with Parkinson's. We want this platform to offer a window into our work as we celebrate the range of programming, research collaborations and community initiatives and engagements that form the heart of what we do. We celebrated World Dance for Parkinson’s Day in 2017 and 2018 but are taking a year off to put our energies into celebrating the 5th annual World Parkinson Congress in Kyoto, Japan June 4-7 and supporting the Crane Dance Project. We invite you to explore inspiring classes, probing documentaries and diverse program profiles—created for the 2018 event—from Australia, Canada, the Netherlands, France, Portugal, Israel, India, England, Malta, Scotland, South Africa, South Korea, and the United States--all in honor of Parkinson's Awareness Month and International Dance Day. We'd love your feedback too. Please take a moment to leave us a comment or question here.